The Disability Discrimination Act (DDA) requires all employers to make reasonable adjustments to their work environment for any disabled staff and clients. In some circumstances it may be appropriate to fit a permanent wheelchair or access ramp for disabled visitors; our range of wheelchair ramps from The Workplace Depot preclude the need to make expensive structural changes to the work environment in order to be compliant with the DDA. The Workplace Depot provides a range of portable mobility ramps each with a number of different variants to ensure that you are able to find a practical solution to adhering to the DDA and best supporting your disabled staff, clients or customers. 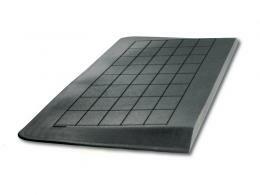 Wheelchair ramps are crucial for a range of business owners as well as homeowners. Sometimes older buildings can lack the facilities required to accommodate wheelchairs or mobility scooters. This is when access ramps become the solution as they are a portable and suited to a range of environments without being too costly. 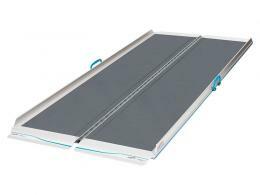 The Metro Folding Access Ramp is a cost-effective wheelchair ramp and is extremely robust and practical as it is can be folded for ease of storage when not in use. 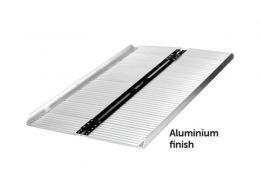 The Metro Folding Access Ramp is available in a choice of different sizes. 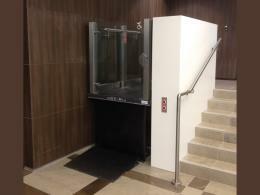 The Workplace Depot also provides the Mobility Platform wheelchair lift which is suited to residential and commercial, internal or external environments. Whether you are a homeowner wanting to help a disabled member of the family access your home with ease, or a business that requires an access ramp for disabled visitors, our mobility ramps and wheelchair lifts can save the day. 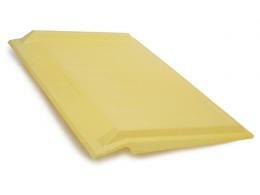 Order your wheelchair ramp today for free delivery and a one-year warranty on parts and labour. We accept all major credit cards and offer an easy exchange/returns policy.